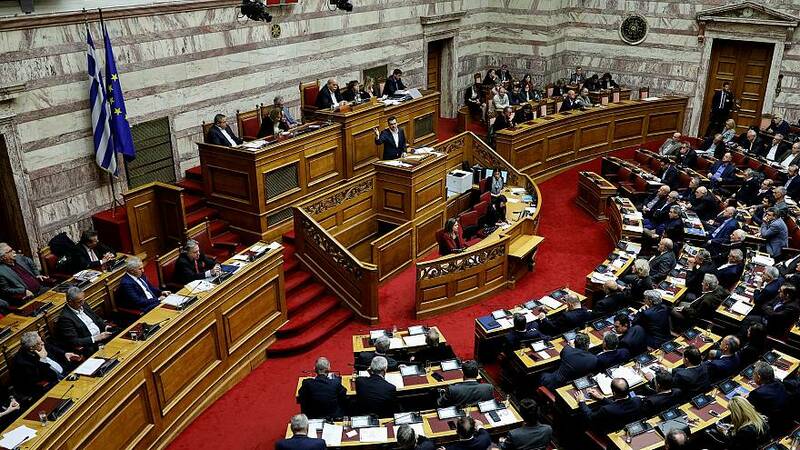 The Greek parliament on Friday ratified an accord that changes the name of its neighbour from the Former Yugoslav Republic of Macedonia (FYROM) to the Republic of North Macedonia. The settlement ends a 28-year row between the two countries over the use of the term "Macedonia", which is the name of a region in northern Greece. Athens claimed its territory called Macedonia has used the name since the times of Alexander the Great, and voiced concerns that Skopje would make territorial claims on the region. The UN-brokered deal has already been ratified by Skopje. The vote on Friday came after police in Athens fired tear gas at protesters who had gathered outside parliament to oppose the deal the previous night. More protests are expected on Friday in response to the result of the vote. You can re-watch the vote and result in the player above. Click on the video below for Euronews interviews with people both for and against the deal.